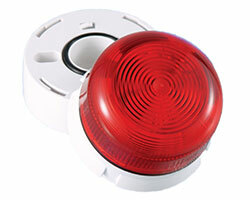 Flashguard weatherproof LED beacons are ideal visual indicators in a variety of applications. Ultra Low Profile: comes complete with a screw and nylon wing nut and is supplied with mounting gasket and 40cm of cable. LED and Xenon variants available.